This contemporary carpet with its smudgy “marble” effect will make a statement in sophisticated interiors. As part of the inimitable “Touch Design” collection, this tufted broadloom carpet is both interesting to the eye (in its disarray) as well as cleverly designed to hide soiling without losing any appeal. 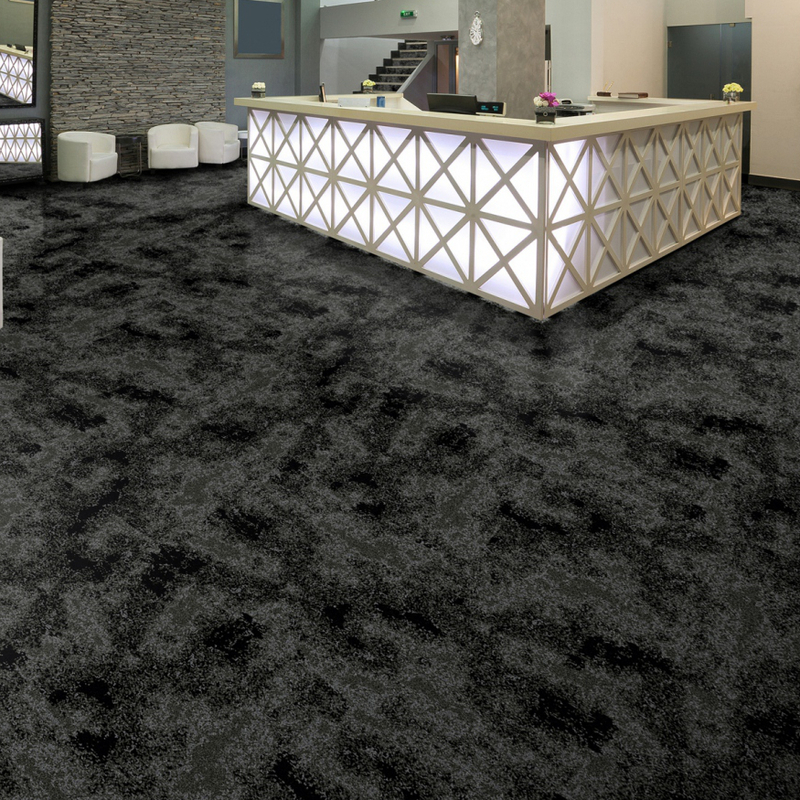 The patterned colour placement of superior Stainproof SDX produces a modern, delicate design that combines elegant style with performance, ideal for luxury boutiques, presidential suites and elite members-only establishments.